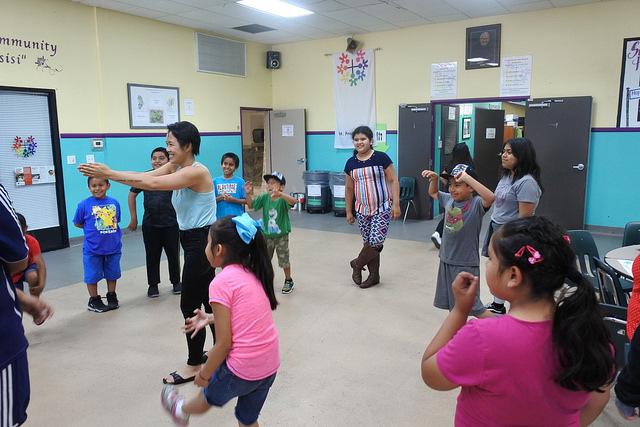 We are proud and grateful because for the third year in a row, St. Francis Center hired Create Now to provide the arts component of their summer camp. The center dedicates every day to serving hope in the community by providing support to homeless and extremely low-income individuals and families in Los Angeles. During the summer they devote extra time to the children they serve by giving them unforgettable memories. 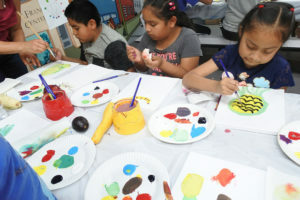 Fun activities include healthy cooking, overnight stays in Big Bear, and our arts programs. Create Now staff and teaching artists enjoyed introducing the kids to creative outlets, which kept them engaged. They learned about the color wheel, painting techniques, gained comfort in a social setting by participating in improv, got their hands on digital cameras and took awesome portraits!